To view the 2019 Categories and Criteria, click here. 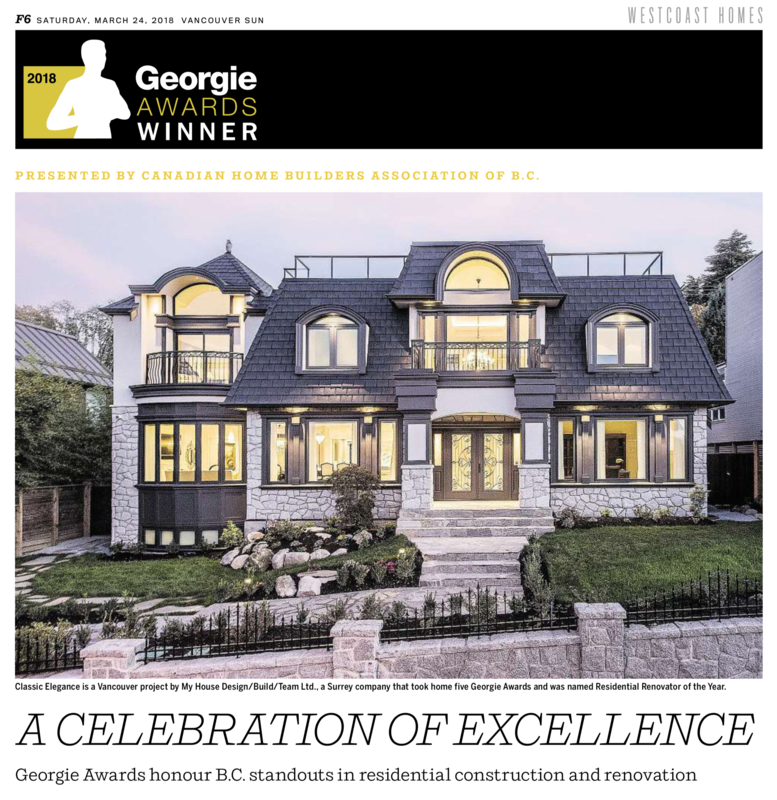 The Georgie Awards®, presented by the Canadian Home Builders' Association of British Columbia, are Canada's premier housing awards program attended by over 600 industry professionals, government officials and industry partners. This black tie gala features a cocktail reception, seated dinner, awards show, entertainment and after party. To view the 2018 finalist , click here.